If you have running water in your home, have you thought what that water has to travel through to get to you? Let’s take a glance of just the piping in your home that water travels through.Water has some corrosive properties and over time will break down the pipes that they are traveling through. If your home is older, you may have galvanized pipes. Over time galvanized pipes will corrode and rust. All of that will end up in the water you consume, bathe and clean with. Not only that, but it can ‘clog’ your faucets and water consuming fixtures as well as reduce water pressure throughout the home. Most commonly homes are re-piped with copper water lines. Copper is very resilient to internal corrosion. The experts at Restore Plumbing and Drain can help you find the best material to be installed into your home based on your water and local plumbing codes. Our plumbers stay up to date on the latest products available to help keep your water healthy! Leaks, who has time for them! Nothing is more frustrating than finding out you have a leak in your plumbing system. 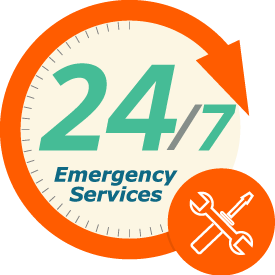 Our leak experts are able to locate and repair leaks with the minimal amount of intrusion as possible. Let us help repair that leak and remove the headache from you!